Rubber is an excellent material for laser cutting and engraving. Intricate art and text can be quickly and easily laser engraved to produce rubber stamps, without chemicals. Universal Laser Systems feature a "rubber stamp mode" which allows for adjustable shoulders. Use a Universal Laser System to produce rubber gaskets, security and address stamps, and more. Rubber is a great material for laser engraving and cutting as you can perform precision cuts at very tight tolerances. Universal laser system software features a "rubber stamp mode" which allows for adjustable shoulders. 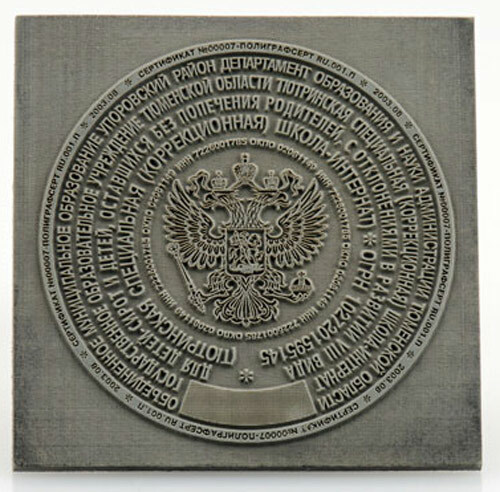 Pad printing plates can also be produced with a laser system. 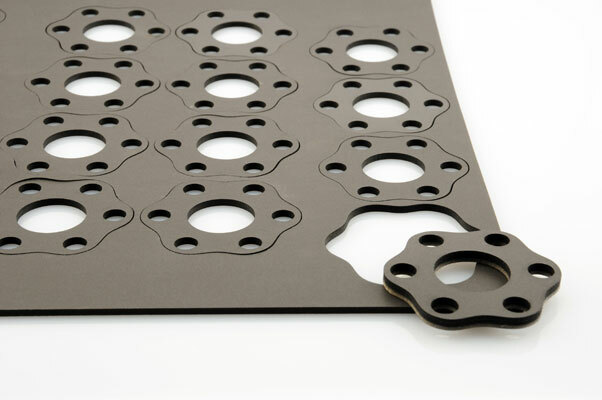 Produce gaskets from a wide variety of materials using a Universal Laser System.